Heritage Couture formal dresses 2014 were revealed recently. They are quite attractive and stunning just like Heritage Couture summer dresses 2013. The clothes are such that they can attract women of different age groups. Heritage Couture formal dresses feature long gowns as well as frocks. There are touches of traditional eastern wear and western wear both in the dresses of Heritage Couture. They can be worn at formal dinners and for weddings. So, if you have a special event coming up, check out Heritage Couture formal dresses 2014 for women. Heritage Couture is a brand that was founded in 2010 to promote ethnic wear for women in Pakistan and revitalize craftsmanship in the country. The brand offers women’s clothing as well as accessories. 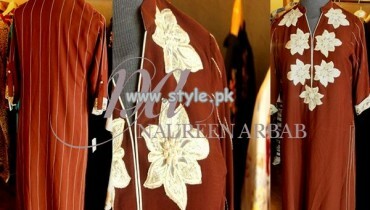 The brand was created by two designers Anum and Naseha. It was founded when these two designers felt the need to enrich the talent of craftsmen in Pakistan and spread it globally. Thus, traditional embellishments can be seen on the stylish dresses of Heritage Couture. The clothes of Heritage Couture are absolutely gorgeous and have attracted lots of women. The team of Heritage Couture works hard to satisfy all clients of the brand. 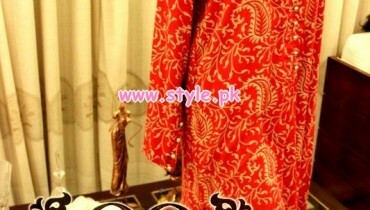 Heritage Couture provides its dresses via multi-brand stores in Pakistan and abroad. You can see pictures of Heritage Couture formal dresses 2014 for women below. These pictures were published in Asiana Magazine. These stylish clothes are available at all places where Heritage Couture dresses are usually sold. The names and locations of these dresses are given on the Facebook page of Heritage Couture. The address of Heritage Couture Facebook page is provided over here. You can get to know more about Heritage Couture through the Facebook page. Before you go there to find out more, see Heritage Couture formal dresses 2014 for women.